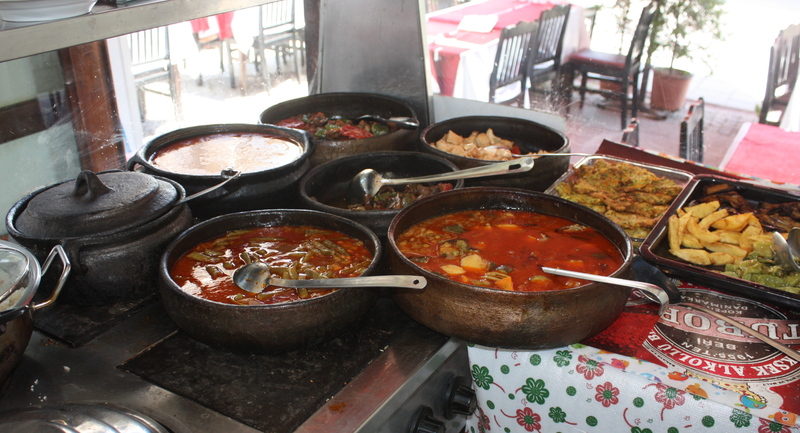 Fantastic food at Selçuk | Where to next? 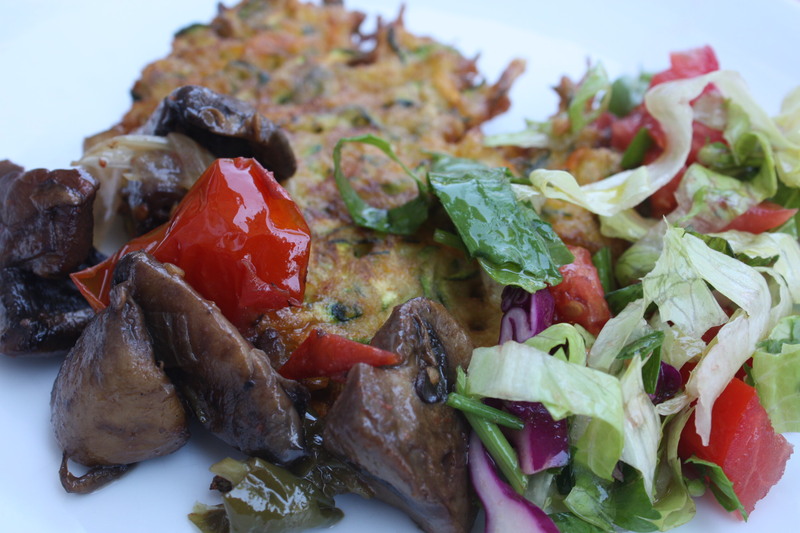 Mushroom stew, zucchini fritters and a mixed salad. We spent today exploring the ruins of Ephesus, near Selçuk in Turkey. I love this site and will be posting several entries about it, but in the meantime I want to mention the amazing lunch we had. After leaving the ruins, the truck dropped us all in Selçuk for 90 minutes. If you weren’t back by noon, you needed to find your own way back to the campground. We decided on a longer visit and wandered the streets, inspecting shops and assessing restaurants. Poor John finally picked a likely one. All I can say is I’m glad he is out cooking because although the fare is simple, it is delicious. Who knew three such ‘routine’ dishes could be so good. I was delighted to be able to get pics of our meal (above), the array of dishes from today and one of the cook (on the left) and the owner. The cook (left) and the owner at the Ephesus Restaurant. That sounds very delicious indeed. You can’t go wrong with mushrooms, zucchinis and salad. Yesterday, I had some truffle for the first time. I went to Silo Bakery in Kingston for lunch and had potato, truffle and tallegio pizza with a glass of merlot. The aroma from the truffle was exquisite. Pales in comparison to eating on the road in Turkey but it was really nice. Not your usual greasy pizza but a light concoction with no tomatoes and sauce but masses of flavour. It was such a great meal.